Being involved in a car accident is always a traumatic experience. But insult is added to injury when your accident is caused by the negligence of an intoxicated driver. Drunk driving is the pinnacle of carelessness, and victims of drunk drivers have a right to seek damages in these egregious cases. If you or a loved one has been injured by a drunk driver, turn to Chattanooga car accident lawyer Herbert Thornbury to help you get the compensation you deserve. Please call our law office today at 423-443-3973 to schedule a free case evaluation. In the state of Tennessee, a motorist is automatically considered to be driving under the influence if he or she has a blood alcohol content (BAC) over 0.08%. However, contrary to popular belief, a drunk driver can still be charged with a DUI even with a BAC under this limit if circumstances indicate that alcohol contributed to a car accident. If you are hit by a drunk driver, Chattanooga car accident lawyer Herbert Thornbury will tirelessly work on your behalf to recover damages. A drunk driver’s insurance company is placed in an especially awkward position when its insured has been driving while intoxicated. 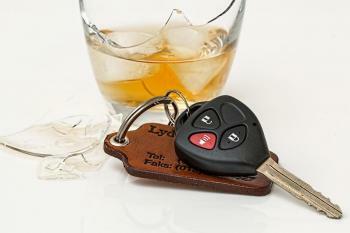 If the motorist has been convicted of a DUI, their situation is especially vulnerable. In such cases, insurance companies are often eager to settle out of court, knowing that juries overwhelmingly favor victims of drunk driving accidents. This means that the driver’s insurer may agree to a much higher out-of-court settlement than it normally would, to avoid incurring potentially much higher damage awards in court. Our Chattanooga attorney uses his experience and understanding of your case to help you decide whether an out-of-court settlement or a trial is in your and your family’s best interest. If you or a loved one has been injured in an accident involving a drunk driver, take the first step to recovering all of the damages you deserve. Please contact Herbert Thornbury today at (423) 443-3973 to arrange a free consultation with our Chattanooga car accident lawyer.